Our product range includes more than 2000 different castors. Typical applications include, for example, distribution and milk containers, hospital and rehabilitation equipment, industrial kitchen equipment, serving trolleys and tables, factory and office furnishings and cleaning trolleys. Manner furniture castors, light equipment castors and equipment castors provide light and agile castor solutions to various equipment and trolleys used in shops, offices and institutions: furniture, shop and office equipment, computer and workstation carts, cleaning trolleys, shopping carts, clothes racks and stands. Manner light equipment castors and equipment castors include a wide range of high-quality, durable and easily manoeuvrable castors for kitchens and restaurants: serving and food transport trolleys, industrial kitchen and restaurant equipment, dish trolleys and factory equipment. Manner light equipment castors and equipment castors offer a number of solutions designed for hospital and rehabilitation equipment. These elegantly designed, ergonomic equipment castors include Wheel 2000, Tango, SMART and e-SMART. Suitable applications include: hospital beds and furniture, medicine trolleys, rehabilitation equipment, shower chairs, medical chairs, walking aids, patient lifts and assistive devices. 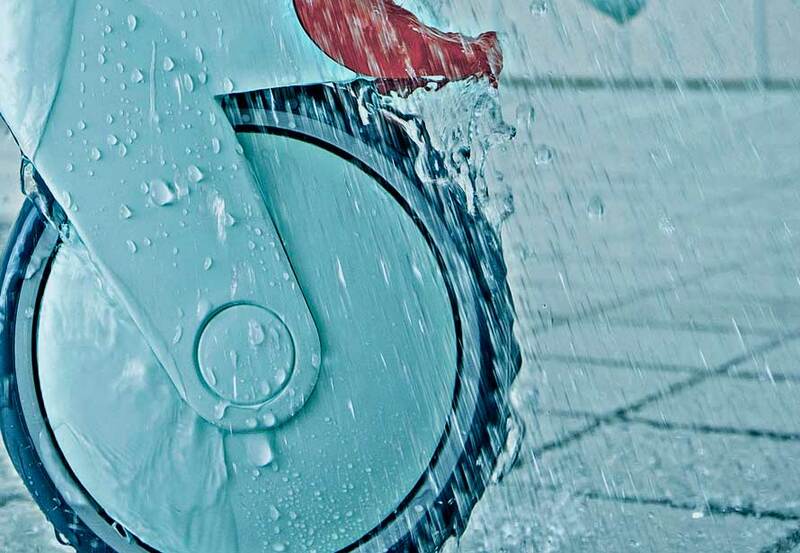 Manner is known for its durable, long-lasting and maintenance-free industrial castors. Industrial castors and pneumatic wheels are ideal for various transport trolleys and equipment: goods, milk and laundry trolleys, dollies, distribution and food trolleys, waste containers, scaffolding and factory equipment. Manner heavy duty castors are ideal for equipment that needs to move smoothly while withstanding heavy weights and hard use. Applications include hoists, heavy transport trailers, port equipment, boat trailers, pump carts and forklift trucks. Manner allows the end product frame and appearance to be designed in a completely new way. Equipment manufacturers also value our wide range of customisation options, such as colours.